When your car rapidly accelerates then decelerates during an accident it forces your spine quickly into a series of unnatural positions. The pressure put on spine muscle during this time results in the neck pain commonly referred to as whiplash. This type of injury can occur during all types of car accidents, even when the car is traveling less than 5 mph. Because neck pain or whiplash often results from minor car accidents many people do not immediately seek care. Of these symptoms, neck pain is by far the most common complaint among those suffering from whiplash, present in about 90% of cases. This pain typically extends across the shoulders, up into the head, and down between the shoulder blades. Occasionally, these types of pains can become chronic when not treated. 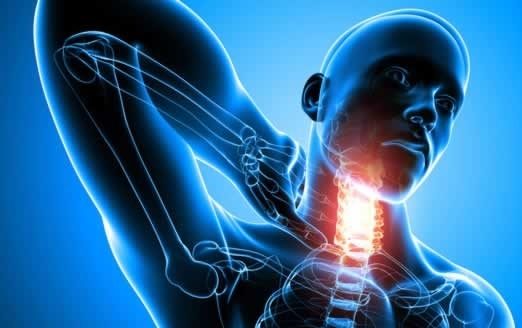 Chiropractors are trained to diagnosis and treat many of the injuries that are typically associated with whiplash. Chiropractic treatment can help to ease pains from whiplash. In St. Louis, MO, Berman Chiropractic provides a full range of chiropractic services to help our patients recover. Treatment can last anywhere from a few weeks to a few months depending on the severity of injury. Contact Berman Chiropractic today to learn more about how we can help with pain from whiplash injuries.